Dr. Brigadier (R) Dr. Arshad Chohan is an ENT Specialist from Rawalpindi Dr. Brigadier (R) Dr. Arshad Chohan is a certified ENT Specialist and his qualification is MBBS. Dr. Brigadier (R) Dr. Arshad Chohan is a well-reputed ENT Specialist in Rawalpindi. Dr. Brigadier (R) Dr. Arshad Chohan is affiliated with different hospitals and you can find his affiliation with these hospitals here. Dr. Brigadier (R) Dr. Arshad Chohan Address and Contacts. 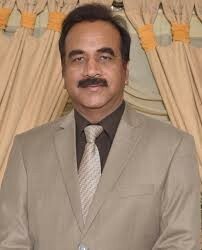 Dr. Brigadier (R) Dr. Arshad Chohan is an ENT Specialist based in Rawalpindi. Dr. Brigadier (R) Dr. Arshad Chohan phone number is 03312446980 and he is sitting at a private Hospital in different timeframes. Dr. Brigadier (R) Dr. Arshad Chohan is one of the most patient-friendly ENT Specialist and his appointment fee is around Rs. 500 to 1000. You can find Dr. Brigadier (R) Dr. Arshad Chohan in different hospitals from 2 pm to 6 pm. You can find the complete list and information about Dr. Brigadier (R) Dr. Arshad Chohan's timings, clinics and hospitals. 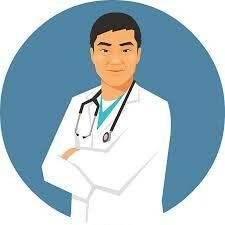 If you are looking for an ENT Specialist in Rawalpindi then you can Dr. Brigadier (R) Dr. Arshad Chohan as an ENT Specialist You can find the patient reviews and public opinions about Dr. Brigadier (R) Dr. Arshad Chohan here. You can also compare Dr. Brigadier (R) Dr. Arshad Chohan with other ENT Specialist here with the compare button above.